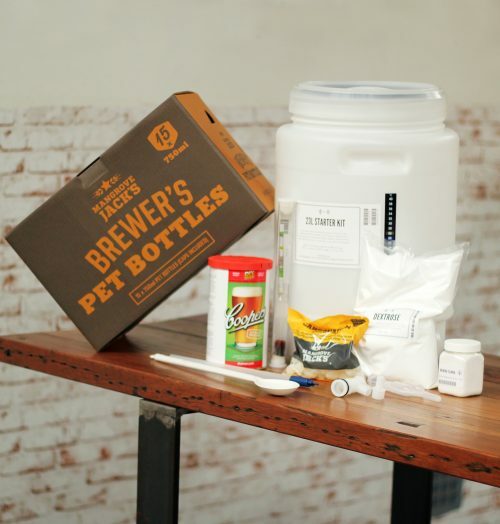 Our own Hop + Grain full-size starter kit. 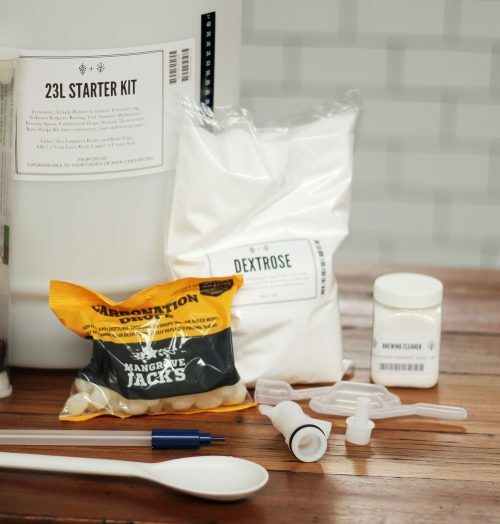 Perfect for the first time brewer, this kit comes with everything you need to brew up to 23L of quality home brewed Beer, Cider or Ginger Beer. 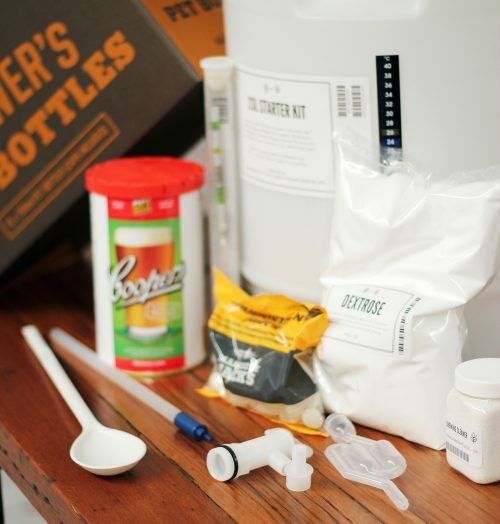 With this kit you’ll be introduced to “kit brewing”, the simplest method for a new brewer. The starter kit comes with any one of your choice from our basic beer concentrates range, or pick a concentrate from our premium selection and you just pay the difference to upgrade. If you’re feeling adventurous and want to create a more premium brew, you may optionally choose to upgrade the brewing sugar, add a grain infusion, add finishing hops and upgrade the yeast. Feel free to ask us for tips or for a full run down attend one of our brewers basics classes. This kit is the same as our crown seal starter kit but with PET plastic bottles instead of the bottle capper and crown seals (for glass bottles).